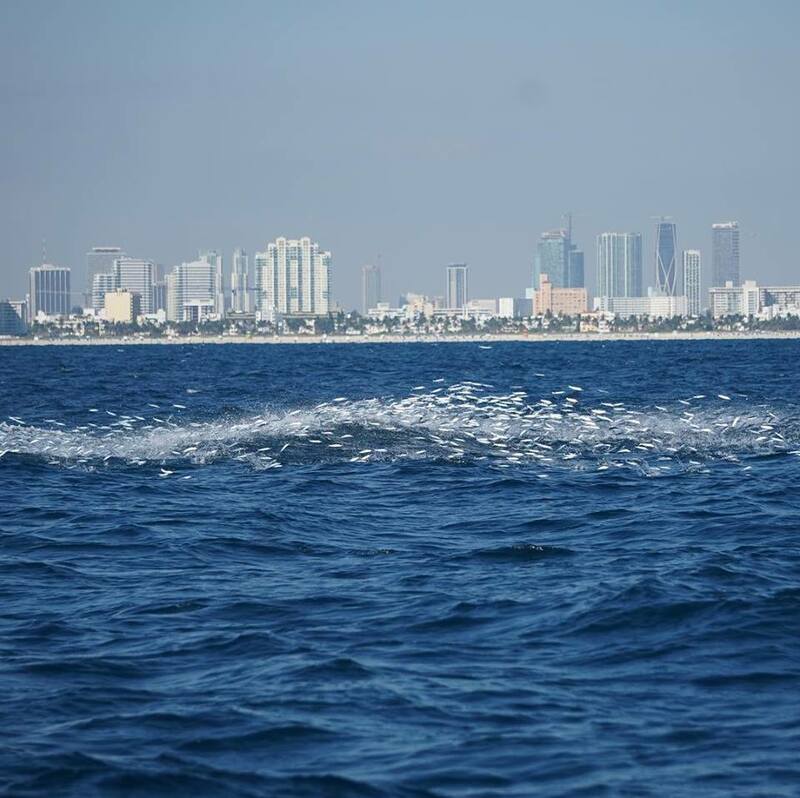 Winter in Miami gives way to a unique fishery. 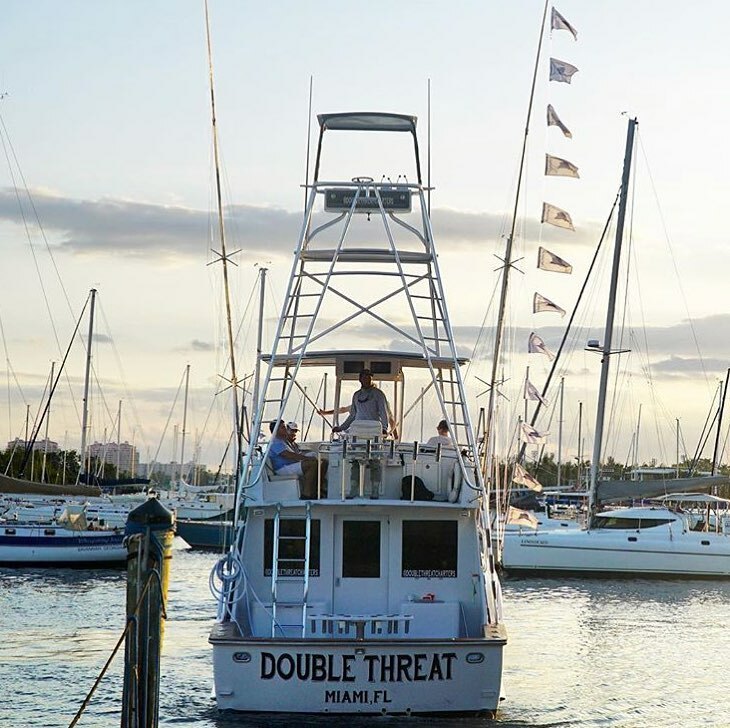 With sailfish beginning to make their way south toward Miami, we are presented with a variety of opportunities to target these fish. The first and more traditional method is kite fishing. No need to go into detail here; there are enough articles on kite fishing to keep you reading for days. Another fishery that not many as many anglers get to experience are known as "ballyhoo showers." Ballyhoo usually begin to infest our waters during fall and the predators are close behind. Ballyhoo are excellent bait fish and serve as a huge part of the diets for everything from Mahi-Mahi to sailfish. When ballyhoo really get thick off Miami and Ocean Reef, game fish will sometimes follows them into the shallows during their gluttonous pursuit. I have seen sailfish and even dolphin fish as shallow as 15 feet chasing schools of bait. Ballyhoo showers make a compelling case for the old phrase that there are "no fences" on the water. When I refer to ballyhoo showers, the phenomenon I'm referring to is when massive schools of ballyhoo erupt out of the water with predators in hot pursuit. 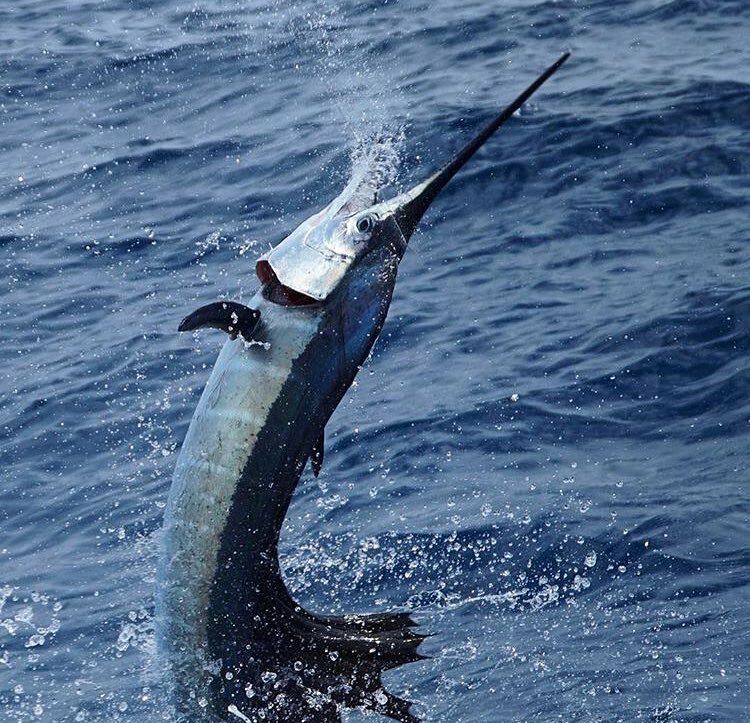 Sometimes sailfish will ball as few as a dozen ballyhoo with unparalleled finesse. On other occasions, bonito, Mahi, and more can be seen chasing acre sized schools of bait all over the reef. It can be quite the spectacle with frigate birds falling out of the sky and ballyhoo jumping so much they look like flying fish. The downside of fishing ballyhoo showers is that this technique isn't always the most productive. First, you need some time of tower to provide an adequate vantage point. Second, you need the right bait. Fresh ballyhoo are a no-brainier for this fishery but threadfin herring will sometimes suffice. The difficult aspect of fishing a ballyhoo shower is that the fish are sometimes in very shallow water. When pelagic species push up onto the shallows, they can be extremely weary. They know they are out of their element and their behavior seems to back up this theory. When you are trying to bait dolphin or sailfish in the shallows, expect spooky fish and you will see way more than you catch. The trick to fishing shallows is two-fold. The first and arguably the most important aspect involves your approach. When you spot a shower it helps to make it to the bait ball quickly. When you get close enough, it helps to have an angler ready with a bait on light tackle. 30lb fluorocarbon leader is the heaviest tackle we'll use when sight fishing in the shallows. When making your approach, it is important to be quick but discreet. The trick is to put the bait directly in front of the fish. Hit them on the head. If your approach is off or your cast isn't spot on, the fish will either fade off or continue to ball up the bait. There is no point in making a huge detour for one baitfish during a feeding frenzy. Live chumming can also help keep the predators focused, which is a common practice in the Keys. Sight fishing in the shallows is a seasonal fishery but one that many tournament fisherman look forward to year after year. It's unlikely to put up crazy numbers using this technique off Miami but it's usually worth it. Nothing beats watching a sailfish tail walk in circles just 20 feet above a pristine reef.